I recently did a takeover at the Romanced by the Book Instagram account and I shared some of my inspiration images for the Grace Bloods series, particularly Death’s Dancer. I’m a super visual person, which is why I love Pinterest and Instagram so much. Getting visuals on a place, story and characters help when I sit down to write. Here are some images that made it to my inspiration boards. None of the images belong to me (unless noted) and were found on the internet and I’ve done my best to find and credit creators whenever possible. 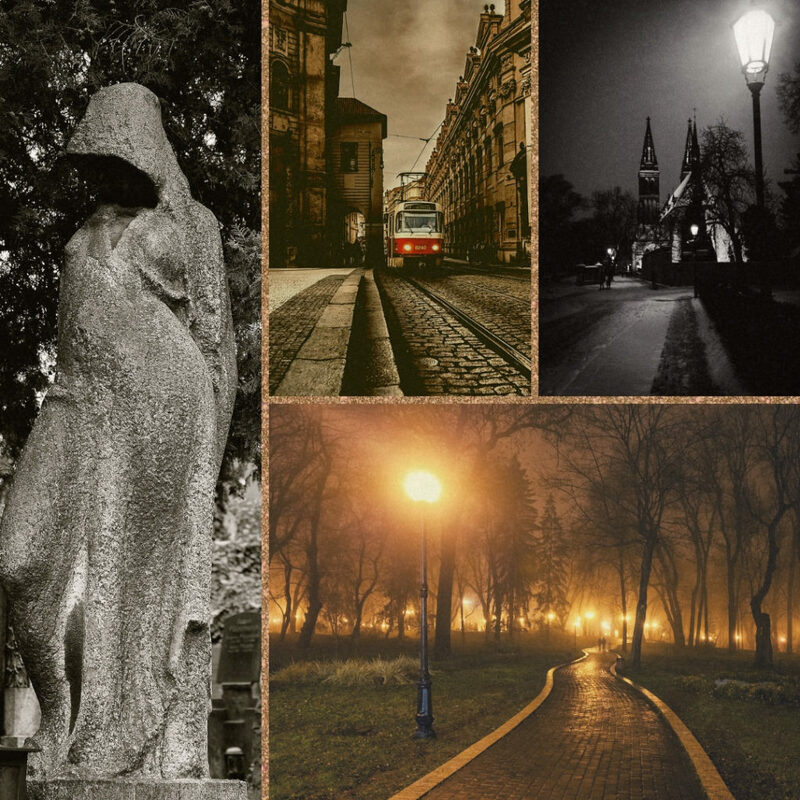 These images visualized the moody and atmospheric nature of Prague I wanted to create. And that illustration was the best visual for Azrael’s fire! 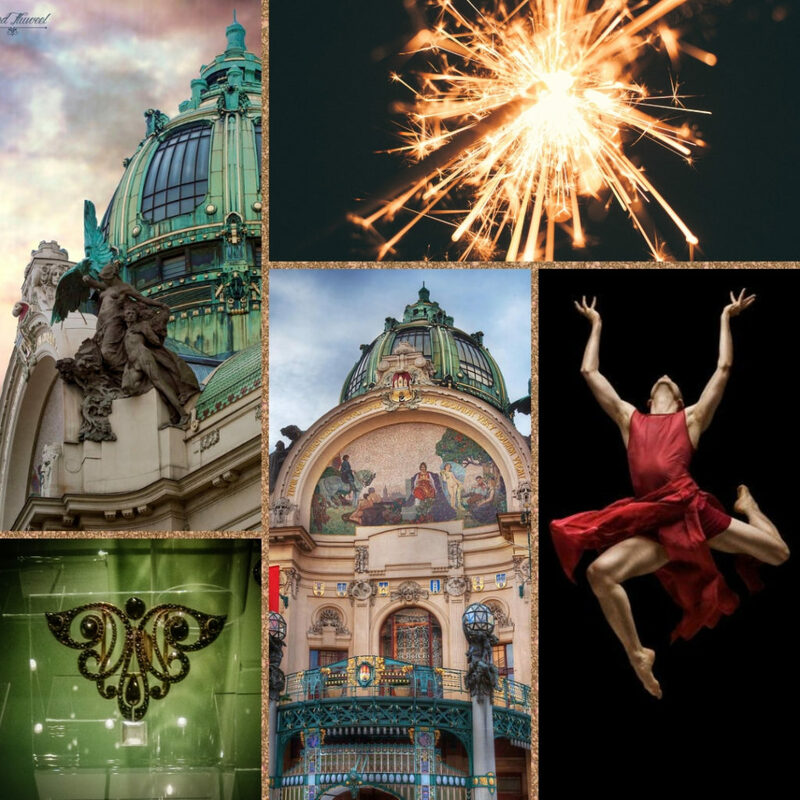 I love the Municipal House–I’ve toured it twice, have seen concerts and art exhibits there, so I knew it was going to be part of Isela’s world. The barrette Azrael gives her is loosely inspired by this Franta Anyz pendant that was on display as part of the Art Nouveau exhibit when I visited. Fun fact, I actually tried to license the RJ Muna dancer photo for the cover, but alas, couldn’t get in touch with the right people in time, so I went with another dance photographer, Richard Calmes to find the iconic image of an Alvin Ailey dancer that became the cover! 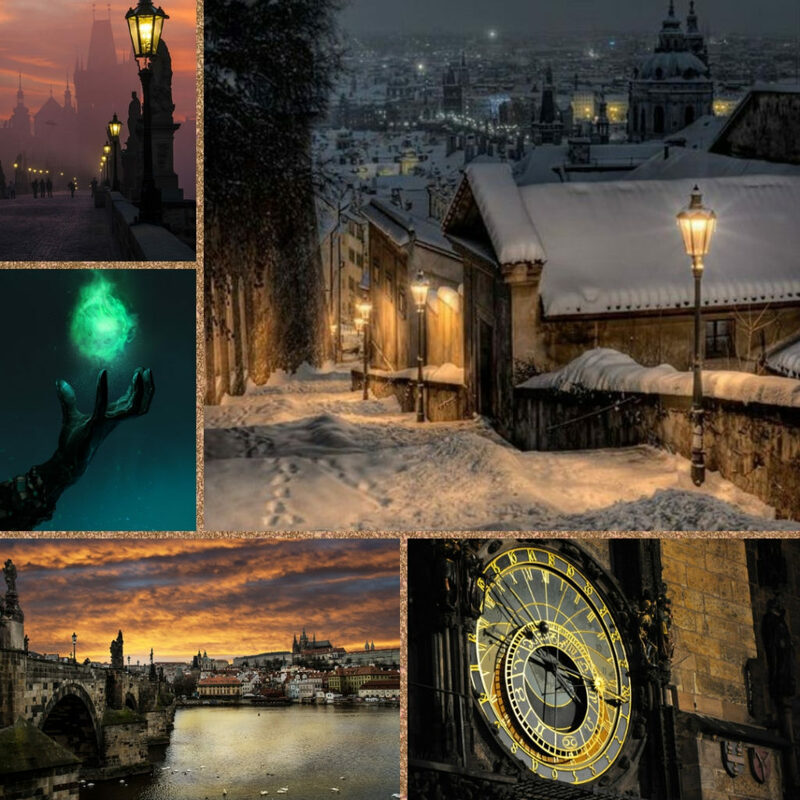 Outside of the architecture, Prague’s transportation and gorgeous city parks all appear in both Death’s Dancer and Dancer’s Flame. The villain in Death’s Dancer was originally going to be a cemetery headstone (like the one in this photo) that had been animated, like a golem (another bit of mythology Prague made famous) in the end, I liked the idea of the real antagonist so much, I bumped the golem mention to Dancer’s Flame. Pinterest: for inspiration, I use Pinterest primarily because it’s easily searchable, but it bothers me that a lot of the credits are either removed or not present. Deposit Photos – another stock photography site (paid) where I find images for promotions and marketing. Deviant Art – Sometimes only an illustration will do and this site is an oldie but goodie! For more of my inspiration boards and images, check out my Pinterest account!